– Comment on the online petition to Save the Feminist Library from Eviction. The Feminist Library faces eviction from the building on Westminster Bridge Road, London, that has housed it for 30 years, unless it meets Southwark Council’s demands for more than double its rent. The Council originally threatened to close down the library on the 1st March unless the library could raise enough to pay for the rent hikes, a date which also marked the start of women’s history month. The library now has until the end of October to sign the new lease or move out. The potential closure of the library forces us to confront the question: are commercial needs prioritised over the need to preserve women’s history? And if so, will feminists and allies be left without physical access to their own history? 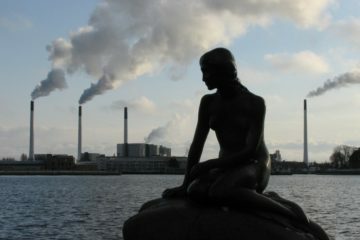 International organisations such as the Italian Women’s library and archives and centres of research on gender in Norway, Sweden, Belgium and the US also lent their support to the campaign. However the library were quick to point out that the decision to charge the Feminist library open-market rent flies in the face of Southwark Council’s recent volunteer sector strategy. The council published a report on the 10th February promoting a ‘thriving voluntary and community sector’. In fact the building that currently houses the feminist library was not even intended to be used for commercial purposes. The building was originally donated by the Greater London Council to Black, Asian and ethnic minority community groups. 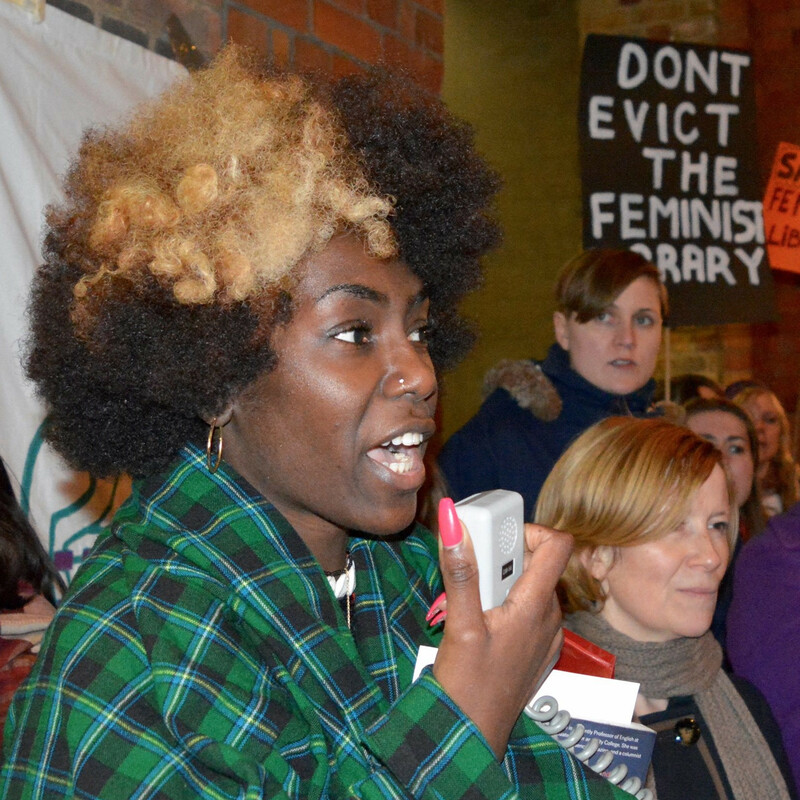 Following the massive outpouring of support for the campaign to save The Feminist Library , Southwark Council agreed to extend the library’s eviction deadline until the 30th October. However the fight to save the library is far from over. Members of the library claim that the Council is committed to raising the library’s rent and has offered very limited help with the search to find new premises. The Feminist Library already began to search for a new home last year and set up an emergency fund to help pay for the move. However as a volunteer-run, non-funded organisation, the library has found it difficult to find a space that is both suitable and affordable. 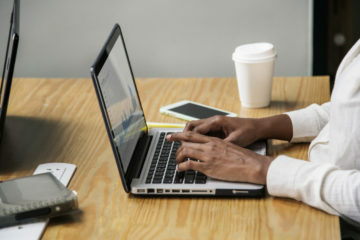 It is therefore crucial that the council assists the library in this search and allows the organisation to stay in its current location until the money can be raised to move. The potential closure of the Feminist Library does seem to fit with a troubling trend of gentrification in the borough. The volunteers at the library point out that the building is located near the Aylesbury and Heygate Estates which have been the subject of significant struggles around gentrification. As a result, the Aylesbury Leaseholders’ Action Group have lent their support to the library. The volunteers also note that just down the road from the Feminist Library, the recent ‘Elephant Park’ development in Elephant and Castle provides very little in the way of affordable housing. The development, situated on the site of the former Heygate estate, will include just 74 socially-rented homes out of a total of 2,500. However according to Southwark Council’s own planning policy, a scheme of this size would require 342 social lets to be provided. More generally, the library’s precarious situation is reflective of the attacks on public services in recent years. Many women’s services in London have faced closures including the Lambeth Women’s Project, Peckham Black Women’s Centre and London Irish Women’s Centre. Moreover library campaigners predict that over 1,000 libraries in the UK will have been closed by 2016. In 2013 The Women’s Library, an archive of women’s history founded in the 1920s, was also closed as a women’s resource in its own building and moved to the London School of Economics. 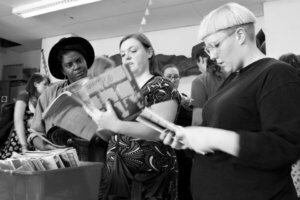 Although the Feminist Library could move to a cheaper and more remote area of London, supporters of the library are keen to ensure that it remains in a central location. 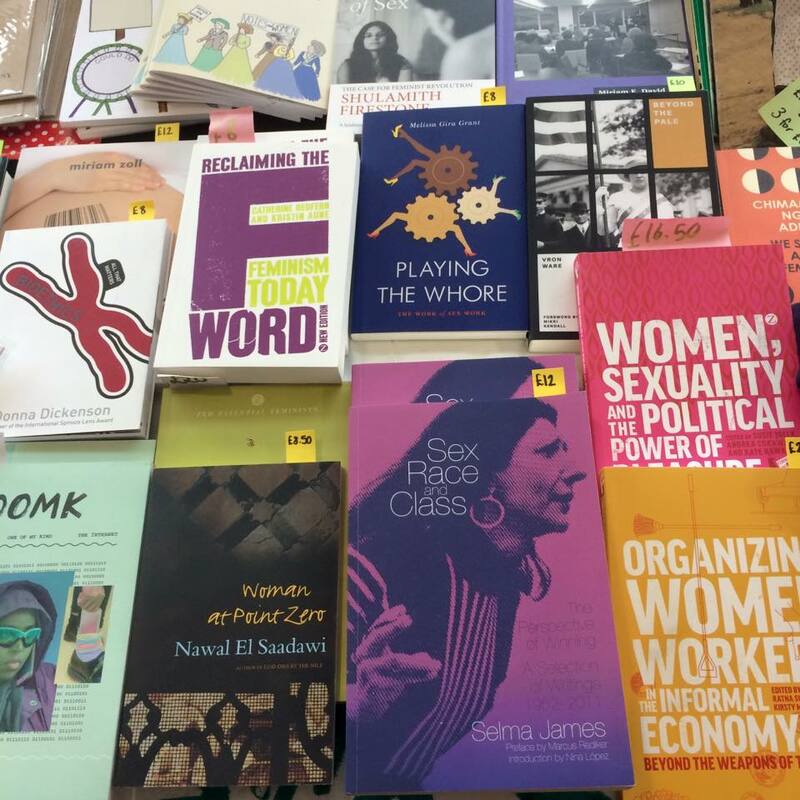 As the only library in the UK dedicated to preserving the history of grassroots feminist activism, it is vital that the Feminist library is accessible to as many people as possible. The library is an internationally renowned archive of Women’s Liberation Movement literature, particularly second-wave materials dating from the late 1960s to the 1990s. The collection includes over 7,000 fiction and non-fiction books, 1500 periodical titles and a range of zines and posters. 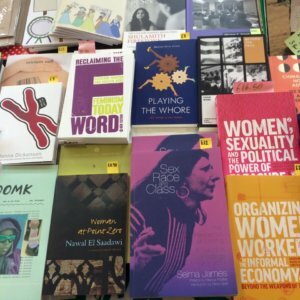 Given that there is so little documentation of the history of feminist activism, these resources are vital to understanding and reclaiming the history of the feminist movement. They provide a counterpoint to traditional narratives of the Women’s Liberation Movement, which tend to ignore grassroots activism. In particular, the collection reveals the contributions of women of different ethnicities and class backgrounds to the movement, proving that the struggle for women’s rights has always been intersectional. As property prices soar in London, the Feminist Library will undoubtedly struggle to afford market rent as an unfunded, volunteer-run organisation. Yet Southwark Council’s insistence on imposing a rent hike on the library to ensure fairness to other tenants of the building is clearly misguided. Although the library may not generate as much revenue as a commercial business, this does not mean that their work is less valuable. The Feminist Library performs a vital function, by preserving the non-traditional, grass-roots history of feminism. For this reason the library can justify occupying a central location in London to enable as many feminists and allies as possible physical access their own history. Despite the success of the campaign to save the Feminist Library, it is only with the support of Southwark Council, which so far has not been forthcoming, that the library will remain in the heart of London. Support the Feminist Library by donating to its emergency fund. The Feminist Library is organising a Summer benefit on Saturday 2nd July to fundraise for new premises. This marks the start of ‘Anti-Gentrification Week’ a week-long program of events organised by the Library in partnership with other organisations feeling the damaging effects of gentrification. [The first image is of a protest. A tall black woman wearing a bright green tartan coat speaks into a microphone. 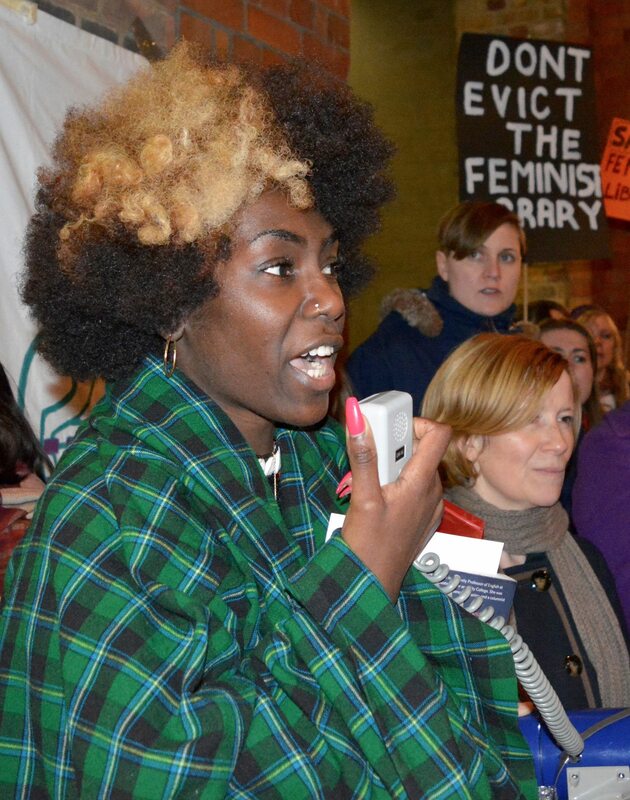 In the background are other women and a placard reading “Don’t evict the Feminist Library”. 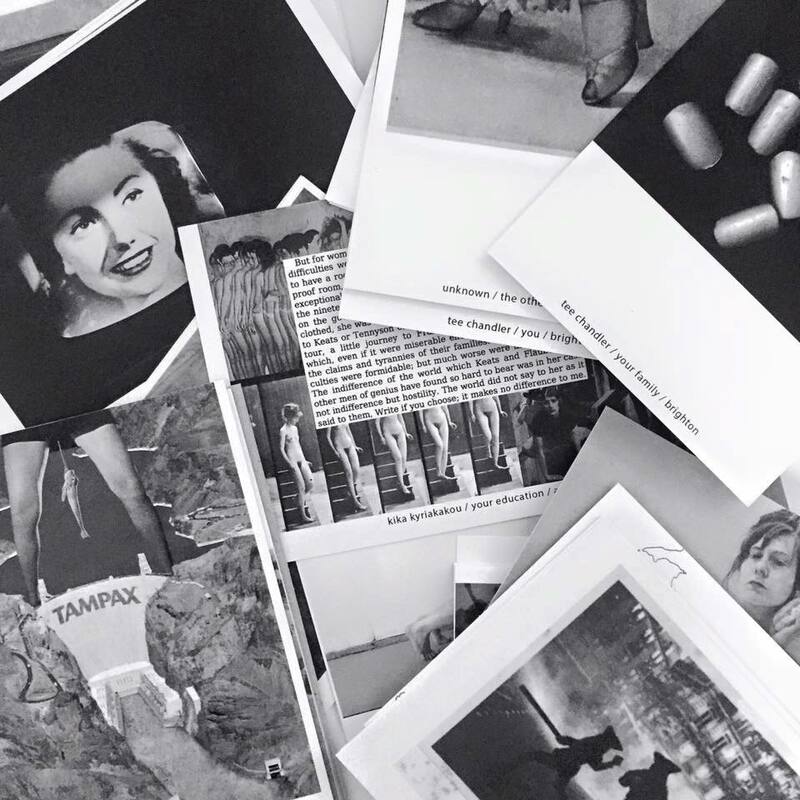 The second image is of black and white postcards with various obscured images on them, including women’s faces and parts of their bodies. 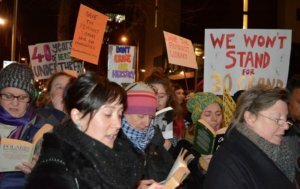 The third image is another photograph of a protest where mostly white women of various ages read books and hold placards including, “Don’t erase our herstory” and “We won’t stand for 30 grand”. The forth image is of a collection of feminist books. These include Reclaiming the F Word by Kristin Aune and our own site’s founder, Catherine Redfern. The fifth image is a black and white photograph of women reading books and magazines.